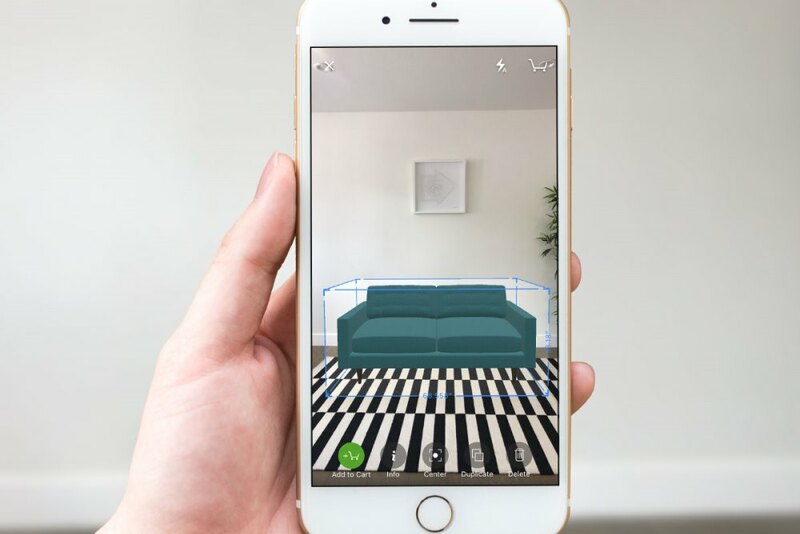 Home remodeling and design platform Houzz has launched a feature for its free iPhone and iPad app that lets users preview furniture in their own home before they buy. View in My Room 3D has over 300,000 furniture and decor products from the Houzz Shop. The models include materials and textures so shoppers can see realistic surfaces, helping them pick the best products for their home. Tapping the View in My Room 3D button on a product page for 3D-enabled products launches the iPhone or iPad camera. When held up to display the room, the selected product appears in 3D on the screen. It can be rotated and placed in different positions to see how the real object would look. Multiple products can be added to see how they work together in a room. Shoppers can then choose to buy the product within the Houzz app or capture what’s on their screen to create a Sketch that is saved to a Houzz ideabook where it can be shared with family, a home professional or other collaborators.